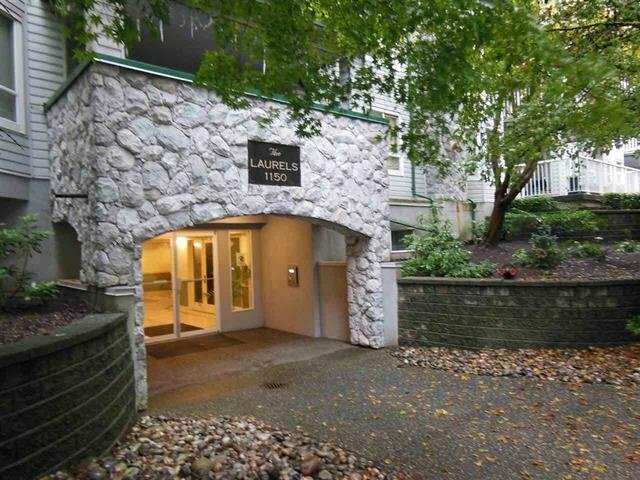 Charming, well cared for bright north/west corner spacious 2 bedroom 2 bathroom in the Laurels measuring 1221 sq. ft. (strata plan suggests 1208) Lovely house sized kitchen with eating area and large 135 sq ft balcony overlooking the quiet and peaceful inner courtyard. All the principal rooms are a great size making it easy to downsize into and bring most of your furniture. The large master bedroom has a 5 piece ensuite and the 2nd bedroom is 12 X 11. 2 dogs or 2 cats ok- 2 secured parking right by the elevator rentals are restricted. New roof in 2012, well cared for building right across the street from Lynn Valley Centre and transit. Bring your decorating ideas to this well priced and well located condo home.